In crossfire earlier today, Moammar Gadhafi was finally found by Libyan rebel forces and murdered. This symbolizes the official transition into a new Libyan system and government. Gadhafi was initially captured alive and taken from his hometown, but gunfire quickly rose. As Gadhafi was being driven away, he was caught in the crossfire and shot in the head. He had ruled over Libya for almost 42 years. Video footage of Gadhafi in his final moments was shown on Arabic television. Some of the footage showed him bloody and being driven away. Other footage showed him dead with a gun shot to the head. According to sources, Gadhafi was found in a drainage pipe filled with garbage and sand. The scenario was not very different from the capture of Saddam Hussein. 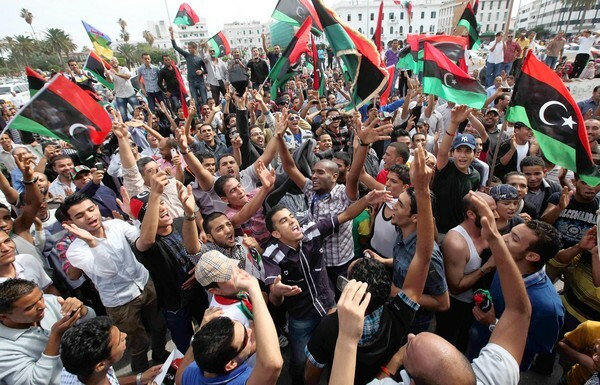 Now it is time for Libya to finally rebuild and start anew.